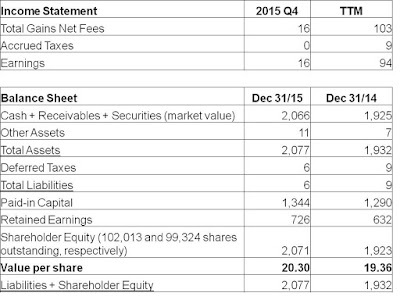 For the fourth quarter ended December 31st, 2016, KVF gained $0.16 per share, increasing the value of each share to $20.30. However, the portfolio's returns were actually negative this quarter, as KVF experienced currency gains of $0.31 per share that propped up results. KVF's porfolio returns thus trailed the S&P 500's approximate 5% return this quarter, but were ahead of the S&P/TSX returns of about -2%. For the year as a whole, however, KVF gained 5% while the S&P 500 was flat and the S&P/TSX lost nearly 12%. For most of the year, KVF's portfolio benefited from not containing companies exposed to commodity industries. However, as that industry takes it on the chin, it has become attractive from a value perspective. As a result, KVF now has exposure to those industries, and it was that exposure that took a bite out of the quarter's results. This unforced error didn't help returns either. In the long-term, I believe there is a lot of value in the commodity space, but in the short-term the prices of those companies may continue to take hits. 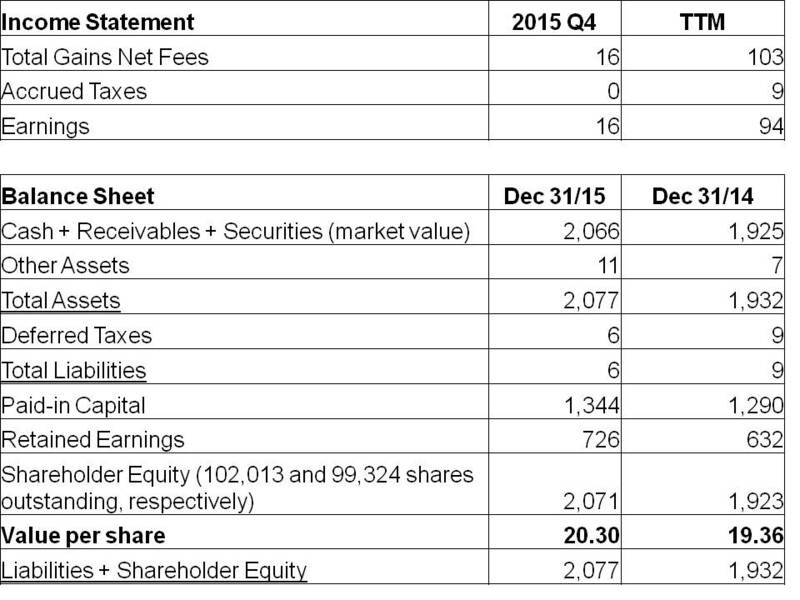 Helping mitigate this quarter's losses was a gain in the shares of King Digital, as discussed here.